Irrespective of what the future may have in store, the year 2018 has ushered humanity towards an era of next generation technology, demonstrating that there is no looking back in scientific innovations. Finding ways to hide information in text, unveiling state-sponsored trolls, a plane with no moving parts, wood as strong as titanium and even efforts to go beyond the corporeal to life beyond death... there was seemingly no end to tech innovations in 2018. It was a year that saw technology take a quantum leap to touch virtually every aspect of our lives, and even beyond it maybe. In a first, a plane with no moving parts -- no turbines, propellers or even fans -- took flight in November. 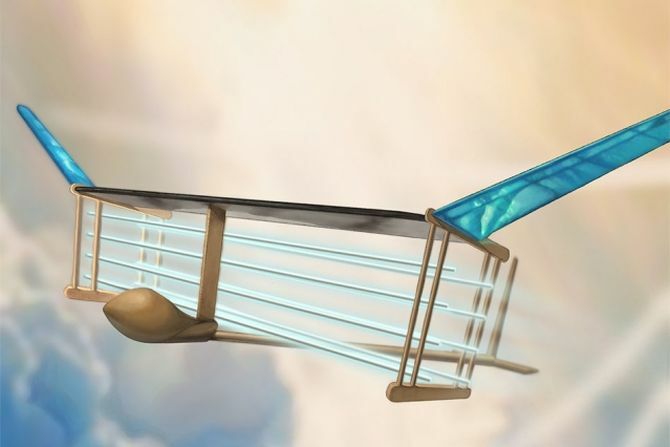 Developed by researchers at US' Massachusetts Institute of Technology (MIT), the small prototype was powered by "ionic wind" -- the flow of ions produced by the plane that generates enough thrust to push it through the air for a sustained, steady flight. 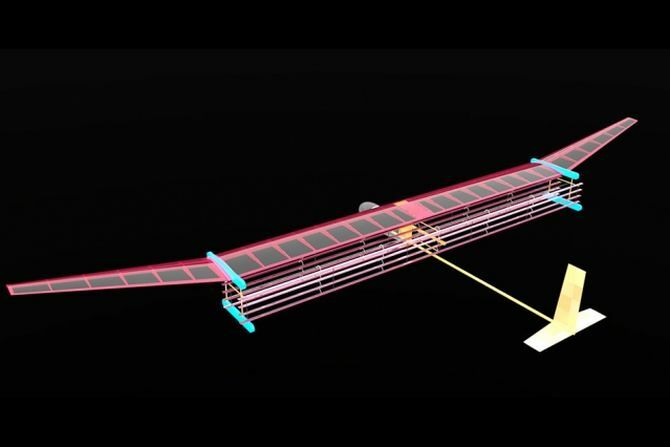 “This is the first-ever sustained flight of a plane with no moving parts in the propulsion system," Steven Barrett, associate professor at MIT, said in a statement. Another development likely to benefit the aviation industry is an autonomous flying drone that can safely herd birds away from airports. A team of engineers at US' California Institute of Technology were inspired by the 2009 "Miracle on the Hudson", when a plane was forced to land on the Hudson River after losing all its engines to a bird strike just after takeoff. In February, engineers at the University of Maryland announced they have found a way to make wood as strong as titanium alloys. "Soft woods like pine or balsa, which grow fast and are more environmentally friendly, could replace slower-growing but denser woods like teak in furniture or buildings," said Liangbing Hu from the University of Maryland. Technology also found its way into the written word. 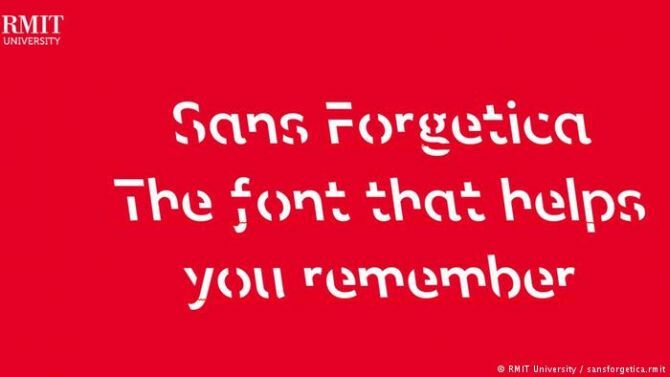 A new font, called Sans Forgetica, can help people better remember what they read. Developed by a team at Australia's Royal Melbourne Institute of Technology (RMIT), the font consists individual letters that have omitted segments, forcing the reader to pay more attention. Another team at Columbia University in the US found a way to hide information in plain text. Their FontCode allowed for embedding hidden information in ordinary text by ever-so-slightly changing the shape of characters in a font. The receiver could then decipher the code by noting the font perturbations. The field of artificial intelligence (AI) has been constantly evolving in the last few years, making its presence felt in all fields. 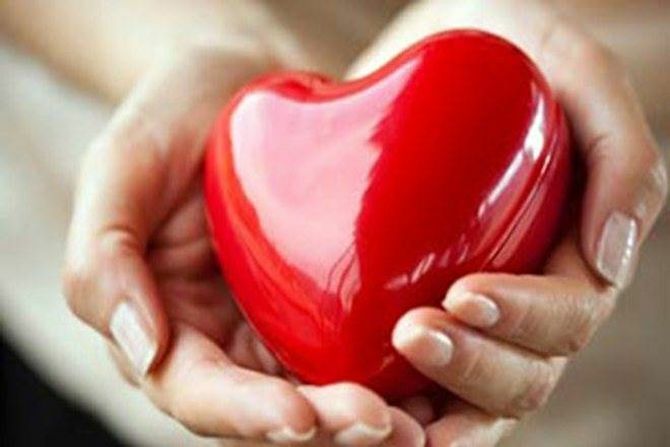 A group at Shree Devi Institute of Technology in Karnataka explored the idea of using AI to digitally resurrect the consciousness of people, allowing one to conduct virtual communications with departed loved ones. At a more tangible level, researchers at Google developed an AI application that can predict heart disease by analysing pictures of the retina. It focuses on retinal blood vessels that might offer hints of a cardiovascular episode. Researchers reported that the app is 70 per cent accurate in tests, roughly equivalent to blood tests. Another machine learning platform was developed by a team at the University of California - Davis in the US which can verify multimedia rumours online. The new tool is meant to distinguish between real and rumour by leveraging the semantic similarity of information sources. The hope is that such applications will help reduce the number of rumour-based online news stories or ‘fake news'. Another developing field of technology - known as quantum computing -got a major boost this year with researchers reporting the first proof that quantum computers would have significant advantage over traditional systems. According to the team at Germany's Technical University of Munich, Canada's University of Waterloo and IBM, scientists and engineers earlier worked on quantum computer development based on just the belief that the research would eventually pay off in next-level computer systems. While in the last decade solar and wind energy has seen significant advancements, the problem of storing energy harvests from these sources on cloudy days, or when there is no wind, remains a challenge. A group of engineers at MIT developed what they described as a "sun in a box" -- a renewable energy store for the grid. Their conceptual system stores both solar and wind power and delivers that energy back to the electrical grid on demand. The system would also be large enough to power a small city during periods when the sun is obscured or the wind is not blowing. 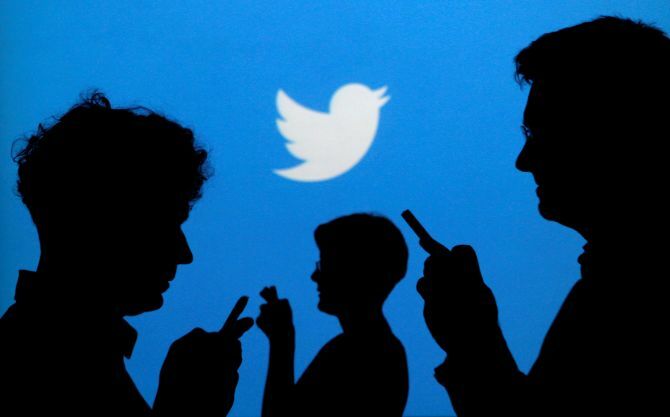 Collaboration between researchers from Cypress University of Technology, University College London, the University of Alabama and Boston University resulted in an investigation of state-sponsored trolls. By analysing data from Twitter and Reddit, they were able to trace the activities of bad actors over time. They found the majority were from Russia and Iran, and they generally attempted to pose as legitimate users from a host of countries around the globe. The year also saw the end of Moore's law - a notion that computing power doubles every year. A trio of researchers at Carnegie Mellon University noted that the famous Moore's law has ended and speculated about what might come next to increase the speed of future computers. Their review includes possible innovations that are likely to make a mark, but they note that some as-yet unknown technology is required.